Locality: United States, Colorado, Eagle, Central Colorado: Sawatch Range, West Slope Continental Divide: along Fall Creek Trail 2001, between Lake Constantine and Lake Hunky Dory, ca 11 air mi S of Minturn. 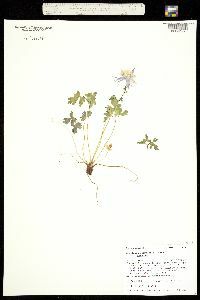 Habitat: Above treeline in alpine meadow. 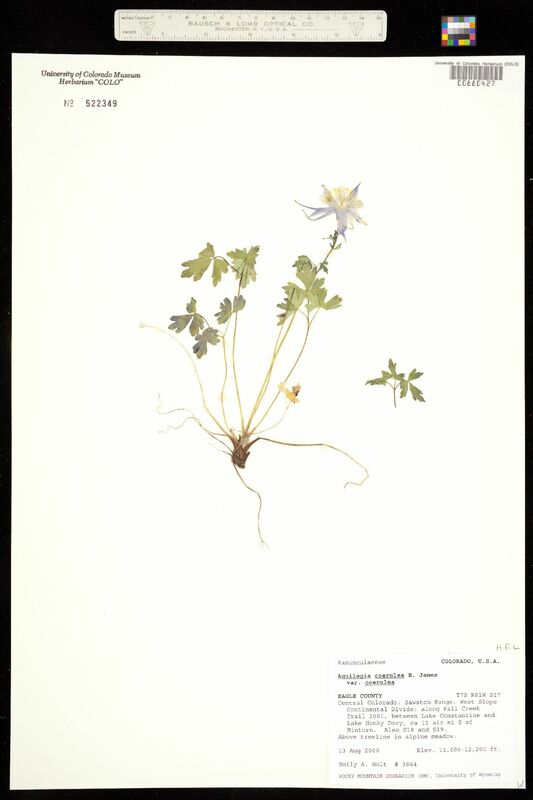 Elevational range: 11600 - 12200 ft.
Notes: Originally ID'd as Aquilegia coerulea E. James. var. coerulea.